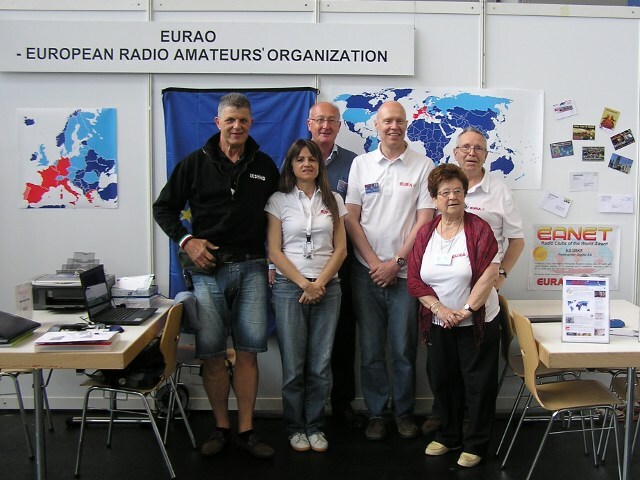 Besides greeting members, friends and supporters, this year EURAO held its General Assembly and biannual Meeting during the fair. The first Statutes were approved and Board of Directors elected again: President ON7GZ, Vicepresident DG9KBE, Secretary-General EA3CIW and Treasurer EA3CWZ. It has been time for listening questions, comments and suggestions. New ideas and future projects often start in this way. Also international public relations are cultivated out of the fair, sharing concepts and wishes. 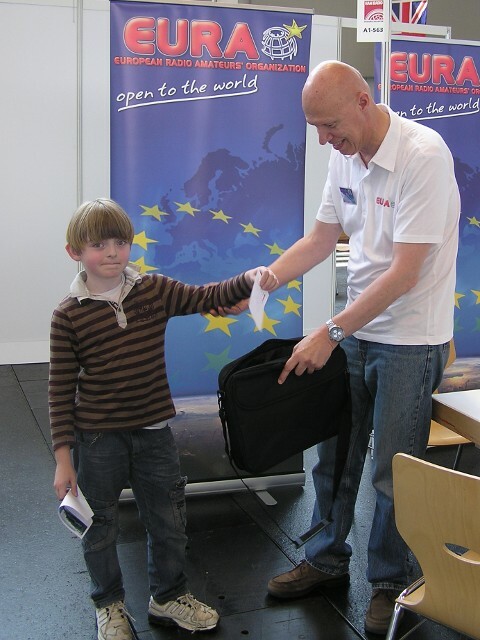 DF7TT, Jürgen, was the winner of a free individual membership for a year, thanks to the innocent hand of Gabriele. Others don't be sad, you can also become individual members for just 10 €. And, if you are the first in your country, the second year will be for free. 2x1 technique... hi hi. Our booth in HAM RADIO was visited by hams coming from: Argentina, Austria, Belgium, Bosnia and Herzegovina, Croatia, France, Hungary, Ireland, Italy, Luxembourg, Macedonia, Norway, Netherlands, Poland, Portugal, Romania, Spain, Switzerland, United Kingdom, Ukraine and, of course, Germany, the host country. We hope to see you next year at Friedrichshafen on 27-29 June. This summer, the European Radio Amateurs' Organization asked its members and supporters to imagine the future and share with us. The future of the Organization but also the future of Amateur Radio. The tool used was a poll and the results are the following. Participation: More than 660 responses were received. They came from 40 different countries in 6 continents (85% from Europe). 95% of them are from hams, 3% from SWLs and 2% from others, mainly CB users. 98% of the respondents were OMs (men). 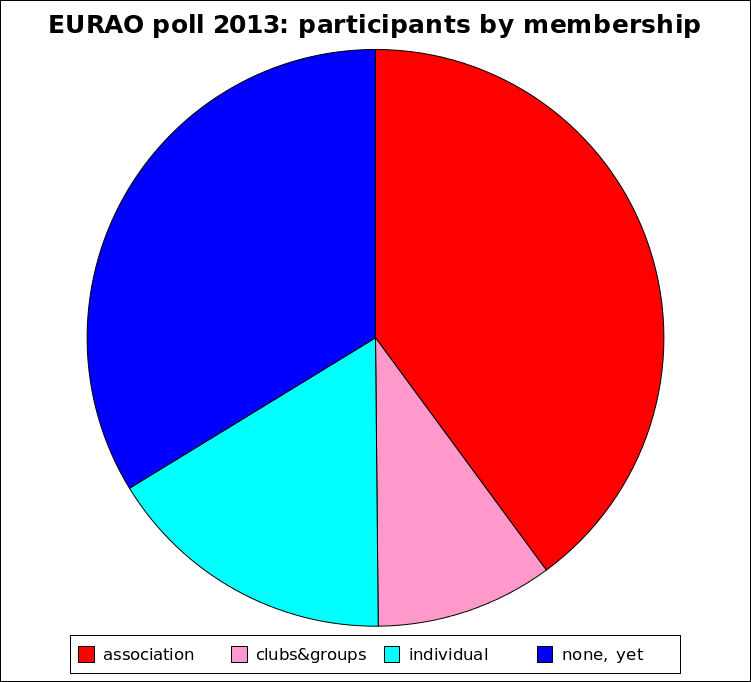 In the above chart, you can see participants classified by kind of membership: red for associations, pink for clubs&groups, cyan for individuals and blue for non-members, yet. What are the likes and habits of this sample of radio amateurs? On November 10, from 08:00 to 12:00 UTC, it will be held the third edition of the "sprint contest" version of the same name Award, devoted to the "Radio Clubs of the World". 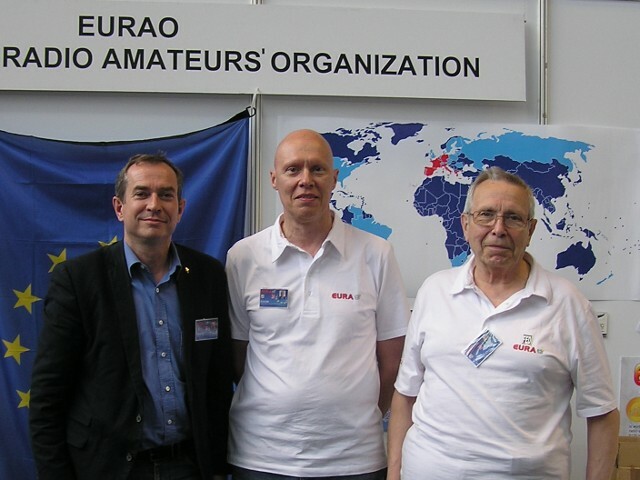 EURAO Board members: DG9KBE, Vicepresident; EA3CIW, Secretary-General; and EA3CWZ, Treasurer.